A new compilation of the 7 most popular myths about product publicity, to help personnel in smaller companies understand the topic better, is being offered by Venmark International of Wellesley, Massachusetts. 7 Myths about Product Publicity is a compilation of the most widely held misconceptions about the topic and includes tips about preparing press releases and the role of news items in media outlets. The top myths are: You must be an advertiser, the more information you put into a press release the better value, and there are no publications or Web sites interested. Targeted to smaller companies, 7 Myths about Product Publicity were compiled by Steven M. Stroum who held a four year appointment as a small business advisor to the Governor of Massachusetts and has prepared thousands of effective product release during the past 32 years. He is president of Venmark International in Wellesley, MA, a company he founded in 1976. 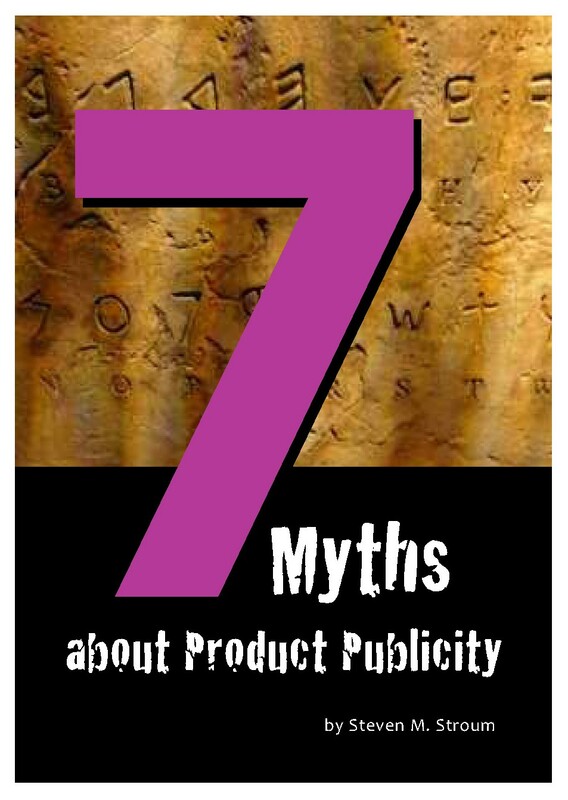 7 Myths about Product Publicity is available for free download from Venmark International.